COMMENTS: I got this to use in my foaming bath whip with the Monkey Fatrs fragrance and yellow Mica... well you really can see it unless you look up close. It doesn’t work well in the foaming whip but it’s a very pretty color and can’t wait to try it in my bath bombs. COMMENTS: WSP, EVERYONE LOVES THIS GLITTER AND SO DO I. I USE IT TO TOP OFF MANY THINGS, INCLUDEING MY SUNFLOWER SOAP ALONG WITH SUNFLOWER SCENT, AGAIN IT UP SELLS THE SOAP. COMMENTS: I love this glitter! The color shows up so well on my cp soap tops! COMMENTS: Great glitter. Love the color. COMMENTS: So, I picked this out as one of my little rewards, and now I honestly don't know what to do with it... It seems to fall flat in soap. Sure is pretty to look at, though! Maybe others have good ideas for it. 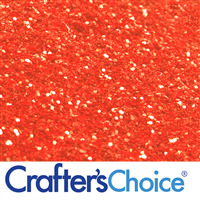 COMMENTS: Used this glitter mixed with red orange glitter to make a beautiful pumpkin-y shade on harvest soaps. So, so pretty. I used it on the pumpkin elements on the top of my soap. The glitter stuck really well. Will buy again. COMMENTS: Lovely gold. Very pretty color. COMMENTS: I do not like the glitter in the micas. The glitter tends to sink to the bottom and does not spread evenly. COMMENTS: It looks pretty and sunny, would be a great additive for citrus and pineapple soaps. COMMENTS: Use this for molded flower soaps, and the color looks great! "Very yellow as stated "
COMMENTS: A pretty yellow glitter. I was thinking it would be more gold but it is as stated marigold. COMMENTS: this is a beautiful yellow glitter, it is about a medium color, not the darkest and not the lightest. It is just right for topping my soap and to give it the little added extra , when you just got to have glitter! A sunshine yellow that works for me and my soap making projects. COMMENTS: Got this in my order that was delivered yesterday and used it tonight to top off a fall/marigold colored soap that I had added calendula into. The glitter was just the touch I needed to finish it off. Can't wait to unmold this soap and take some photos! It is a beautiful color and if there wasn't so much in the container I purchased, I would be looking to buy more. I am impressed! COMMENTS: This yellow gold glitter can brighten any soap! It really is a beautiful color and can be versatile with what you are making!! COMMENTS: Loved this in a clear soap with another color underneath with the white tinted base. It really looked rich. COMMENTS: This glitter is sure to please anyone who loves a touch of sparkle for a finishing touch on the tops of their soap. Very pleasing to the eye, and if you put in a puffer bottle or shaker bottle, it works that much better. • keep in jars/not plastic bags. COMMENTS: I really love this glitter. Very eye-catching in my MP bars! "this is a vey functional and easy product to work "
COMMENTS: It made the finished product beautiful! COMMENTS: Another pretty glitter color from WSP! COMMENTS: Pretty glitter, shimmer for products. Love the fact I dont need much to make an impact! COMMENTS: This is a very nice, sparkly color powder. I add it to my lotions for shimmer and it turns out great. COMMENTS: Gorgeous rich yellow color that sparkles like crazy. Love this glitter. COMMENTS: Received as a sample. I see more of this in my future!!! COMMENTS: I got a sample to try out and it is BEAUTIFUL!! Easy to sprinkle a little out of the bag to prevent over sprinkling! COMMENTS: Richly pigmented, gorgeous sparkle. COMMENTS: This was a great product for my Christmas CP soap. I highly recommend. Great price! Fast shipping! Excellent customer service! COMMENTS: This glitter gives off an amazing shimmer. A must have. COMMENTS: This was my first time using glitter in my soap. I have always been worried that it would stick to the skin and I'd be covered in glitter after using it. I mixed it in with the white color in my soap instead of dusting the top, and it is a nice subtle shimmer, but it does not rub off and stick to my skin. Very Nice. COMMENTS: Great in my soap. 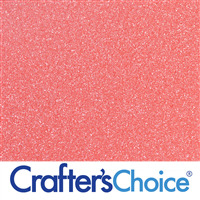 COMMENTS: You can't help but get a sunny feeling with this glitter, I love it and it makes products more noticeable. 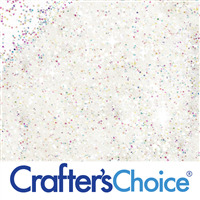 COMMENTS: this is a great sparkle effect my butterscotch soaps. I just love it. COMMENTS: Love the color and sparkle. COMMENTS: This glitter is amazing! I ordered a sample bag and decided to sprinkle my finished unscented "baby friendly" soap, just to make it a little more interesting since the soap itself is a pale color. I'm so happy I did. It made my usually bland soap more interesting (and dare I say elegant). I highly recommend this product, it worked so well, I will definitely be getting more. COMMENTS: Love the color. Bright Vibrant. "Everything is better with glitter"
COMMENTS: Roll bath fizzies in the glitter for an extra bit of glitz. COMMENTS: I love the bright cheerful yellow color this adds to my soaps. I will be back for more. COMMENTS: Such a sunny yellow glitter, used in soaps and nail polish! Adds a brightness to them! COMMENTS: This is definitely a yellow orange color which very much resembles marigolds. "The hints of orange are lovely"
COMMENTS: This is the brightest yellow glitter I have ever seen. 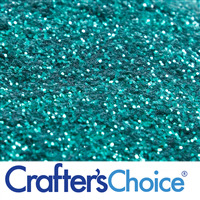 I love these glitters, they are offered at low prices and the quality can't be beat. 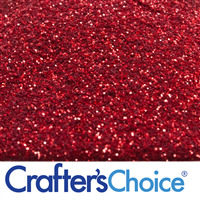 I buy all of my glitters from this company, you can't go wrong. COMMENTS: This glitter is great for M&P! It is very bright and even shows up well in white base! I love it! COMMENTS: So pretty and the glitter is so fine. It does look a slightly more peachy than bright yellow. COMMENTS: what can I say? Another love story. Beautiful...just beautiful. I ordered two. WOW. True to color. I used it in MP. Loved it sooo much, I used a small touch to make swirls in my CP. I like it better in MP, depending on the scent I use I may use it again in CP. It did behave well in CP. So that made me happy with the product. COMMENTS: I love the subtle amount of bling that this adds to the top of my soap loaves!! 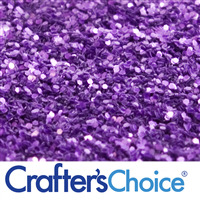 COMMENTS: i used this glitter in hot process soap with NO additional colors or clays. In the end product, I cannot see ANY glitter. Maybe next time I will try it with titanium dioxide. "Another color in my glitter collection"
COMMENTS: I love this bright color of glitter. It is beautiful when mixed in a clear suspension soap mix. I've also added this to lotion and bath fizzies. This yellow is such a nice spring color. I need to get several more glitter colors and I will be set. 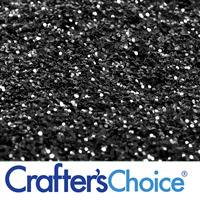 These glitters take your soaps and other products to another level and are really noticeable by customers. COMMENTS: I was a little skeptical about the yellow Glitter for the tops of my soaps, but it really adds a nice color pop without being to in your face yellow. 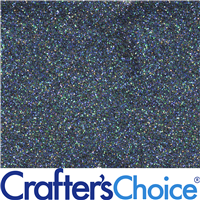 Very nice quality fine glitter, I'm not a fan of chunky glitter on my soaps so this was perfect, I use it on almost all of my soap tops and it even looks great mixed with turquoise and white glitter. COMMENTS: I was expecting this glitter to be more yellow than orange. I have not used it on my soap yet. I do hope it looks more yellow after I sprinkle it on. 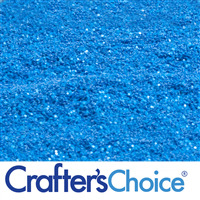 COMMENTS: I'm a fan of WSP's glitters and this one is no exception. A little goes such a long way in dusting the tops of my soaps. In the tropical sun my soaps glitter and shine in a way that's appealing to customers and adds just that little bit of wow factor. COMMENTS: Love this color! Beautiful without being to much glitter. COMMENTS: I was skeptical about purchasing this particular color of glitter, but I'm sure glad I did. Usually, I paint glitter on my soaps after they've cooled slightly to add depth and "shadow" to my soaps (I come from a watercolor painting background). I used this color on my sunflower soaps. The matte yellow color bar was a bit too flat for my taste, but after I painted the marigold yellow glitter into some of the soap's crevices, the entire soap just popped out! Love it! COMMENTS: this colorant is perfect for any lemon scented product. This is all I use in my m&p clarysage and lemongrass soap. COMMENTS: Used this in my Christmas soaps to color ornaments, Christmas bells and anything I needed to look gold. I loved the color in the bag and when I used it in soaps. I will have many uses for this and plan to order more. COMMENTS: This glitter looks so pretty on my floral theme and lemonade theme soaps. Goes on easy and stays on doing curing too. It highlights any yellow in your soap very well. COMMENTS: I just made some fall pumpkin soap and brushed this over the front and it gave it a nice look. COMMENTS: Works great in M&P! "I received a sample bag, and I was wondering if it would dissolve in a nail polish base? And if so, which glitters would work instead?" Staff Answer We have not tested this colorant in a nail polish base as it is not a product we carry.